This Ewe was created for its role in The Great Auk. It’s timid disposition will easily make a home out of anywhere as long as there aren’t of course any sudden movements or frightening noises. We wouldn’t want it to run off. However will you knit that wool sweater if it does? Tired of taking on responsibilities? Dawn this Ewe and follow others for a while. Following not your thing? Then act b-a-a-a-ah-d for a while. A good guy? Well, you can always graze with the heard. So go on, what are you waiting for, ewe and this mask will get along great. Order one today. 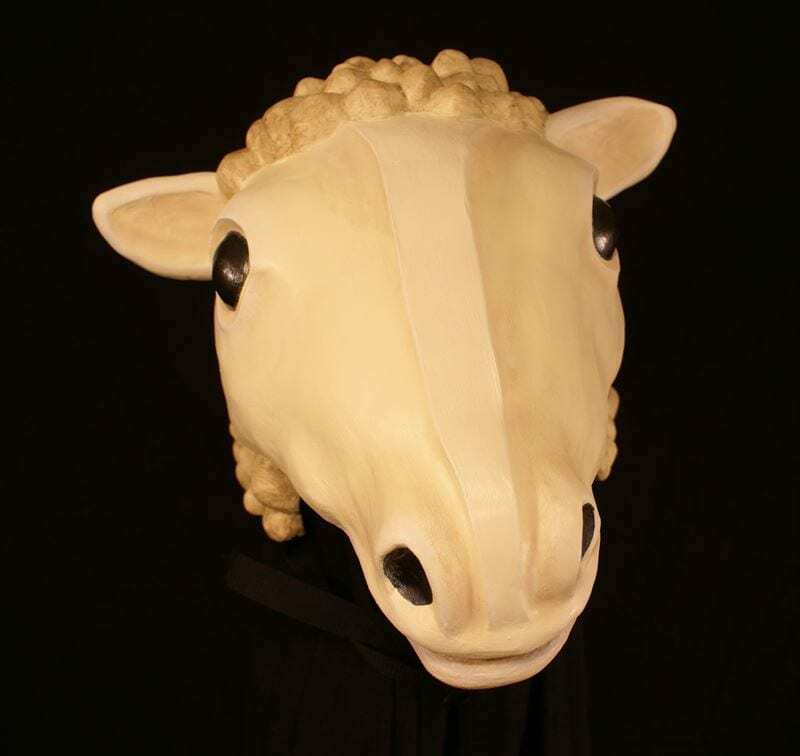 Made by master mask maker Jonathan Becker the Ewe is worn on top of the head like a hat.